The Baltic Sea Region has been a frontrunner in supporting the implementation of SDGs since their launch in January 2016. Still, a lot needs to be done to make the region truly sustainable, especially considering the interconnected and transboundary nature of the goals, which calls for coordinated action of the nations on all levels. 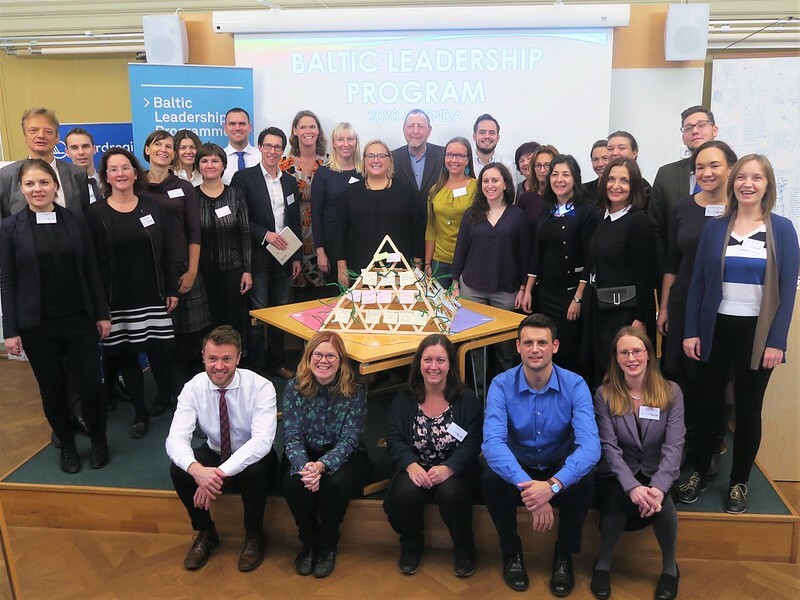 The Baltic 2030 Unit of the CBSS supported the Swedish Institute in developing a new addition to its successful capacity building initiative – Baltic Leadership Programme (BLP) – now on 2030 Agenda. The first out of three planned modules of the BLP took place on 12-13 October 2017 in Stockholm, Sweden, hosted by Nordregio, a leading Nordic and European research centre for regional development and planning and a member of the CBSS Expert Group on Sustainable Development. 35 experts in key positions for boosting the implementation of SDGs participated in the programme. National coordinators of the 2030 Agenda, regional and city representatives, and pan-Baltic organisations from 10 BSR countries shared experiences and studied tools for implementation of SDGs, stakeholder involvement and communication. The participants listened to inspiring examples of tackling SDGs in different countries, actively participated in tailor-made workshops, and, most importantly, got to know their peers from other countries. Kurt Bratteby, Director of the Department of International Relations at the Swedish Institute opened the BLP and confirmed the willingness of the organisation to support transnational cooperation in SDG implementation. Krista Kampus, Head of the Baltic 2030 Unit at the CBSS Secretariat, set the scene by presenting the Baltic 2030 Action Plan and its role in translating the Global Goals into the BSR context. Luciane Aguiar Borges, Senior Research Fellow at Nordregio, shared the #Nordicsolutions initiative results through inspiring examples of cities tackling SDGs. Johan Hassel, CEO of the think-tank Global Utmaning and a member of the Swedish Government’s 2030 Agenda Delegation provided an example from the Swedish experience in applying multilevel governance and SDG localisation. Alan AtKisson, CEO of AtKisson Group, led a master class in systemic stakeholder engagement, which offered tools for generating ideas for sustainable development initiatives, promoting participatory action, system thinking and for developing strategies for innovation and change. Workshop discussions resulted in the creation of a Sustainability Pyramid, an effective tool which can be used for planning sustainability processes and strategies. Esben Alslund-Lanthén from Nordic Sustainability presented an effective framework for strategic SDG communication and audience engagement. Participants applied the lessons learned by integrating 5 simple communication principles into their approaches to sustainability and project communication. The second module of the BLP on the 2030 Agenda will take place in Tallinn on 13-14 December 2017, and will gather Policy Area and Horizontal Action Coordinators (PAC:s/HAC:s) of the EU Strategy for the Baltic Sea Region (EUSBSR). The participants will focus on mapping the connections of PACs/HACs with different SDGs and identifying the shared areas of action in the EUSBSR. The third BLP module will be hosted in Brussels on 11-12 April 2018, gathering the participants of the first two modules and connecting national and macro-regional actors. The module will reflect on the plans for alignment of the EU strategies with the SDGs and on monitoring the progress of the implementation of SDGs.